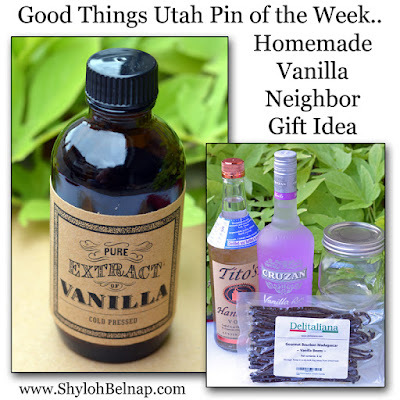 This is an awesome inexpensive neighbor gift. The only issue is you would have to jump on making it right now! I got the original pin from here. 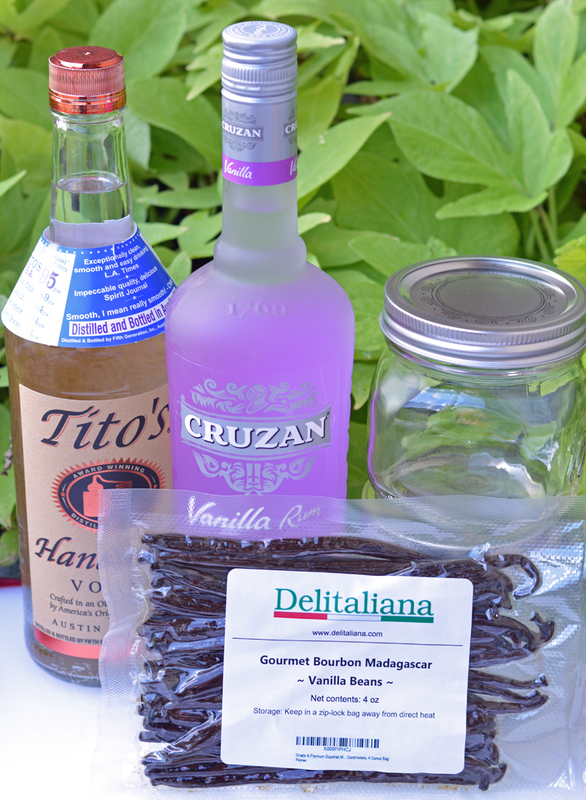 To make Vanilla Extract, you just need 2 things… liquor (Vodka or Rum) and vanilla beans. Cut the ends off of your vanilla beans (I used Bourbon Madagascar beans) and then cut them down the middle. Put your beans in an air tight container (Mason Jars work great, or you could even put it right back in the bottle of liquor). Pour your liquor on top of the beans. You will want to make sure you COVER the beans completely. If you have to cut them that is fine! I have read 3-5 beans per 8 oz. of liquor and have also seen 7 beans per 8 oz. I used 7 because I just wanted to make certain it works! Store your jar in a DARK place. Shake your jar once a day for 2 weeks and then once a week for a few months after that. After a few months, you should be close to done with your vanilla (or done). 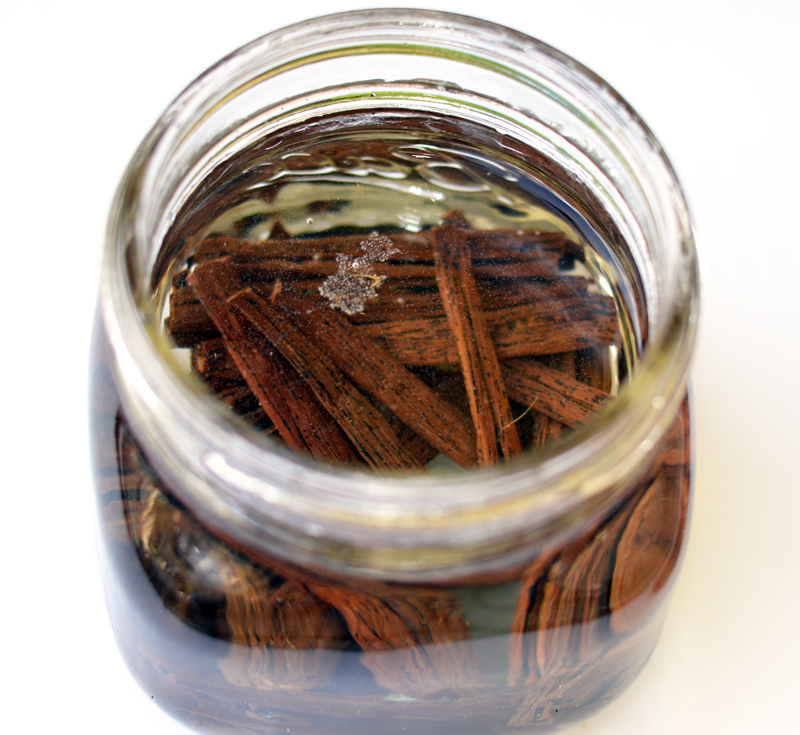 Using a coffee filter, you can strain your vanilla so there are not any little floaties in it. Pour your vanilla into your bottles. The original pin has a really cute label you can print off! It fit perfectly on the 4 oz. bottles I bought from Amazon. I used spray adhesive for my bottles just because it sticks so much better! 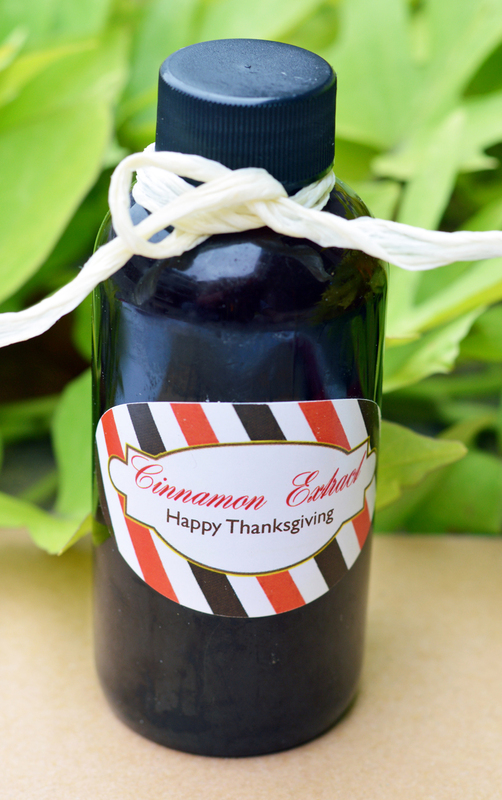 You can do the same thing with Cinnamon extract. My Sister in law gave us really cute bottles for Thanksgiving. She used Vodka and it only took 6 weeks. It smells DIVINE! 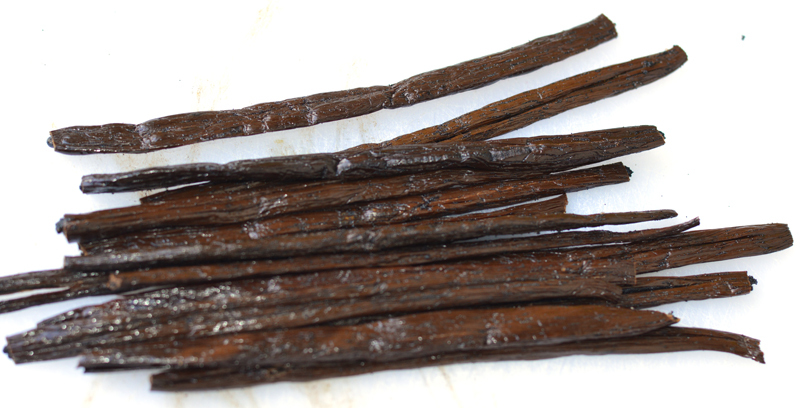 Some say that your vanilla should be ready within a month. My neighbor makes this and suggests 6 months. 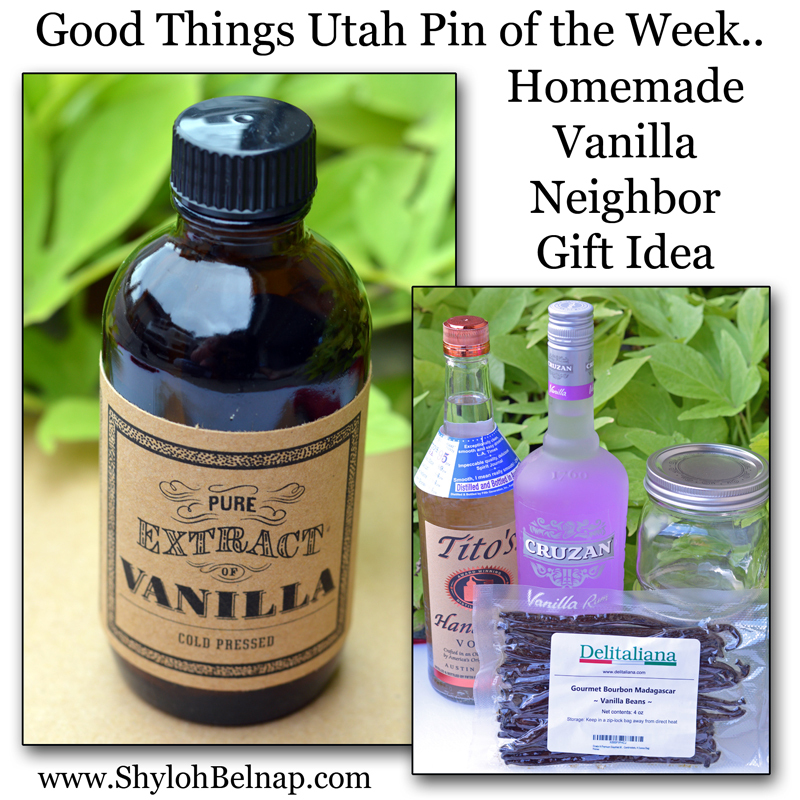 If your vanilla smells more like a shot of vodka than vanilla extract by Christmas, you can strain what you have, put it in the cute little jars, put a vanilla bean in the jar and attach a tag telling them the vanilla will be ready in a month or so! 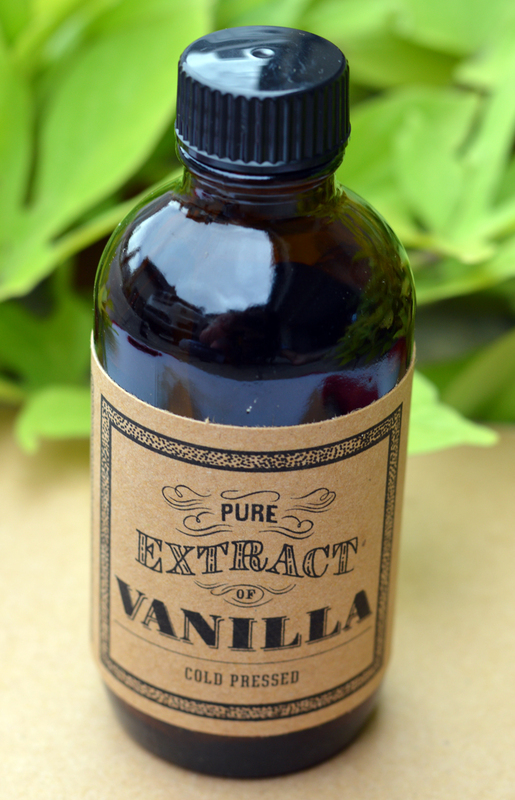 Vanilla is like wine, it gets better with age. The longer you let it steep, the better it will be! I have read many posts from people who have put their concoction in their cold storage room. They don’t seem to be ready as quick. I wonder if that is because it is cold. I would just put it in a cupboard up high you don’t often use so the temperature isn’t cold! 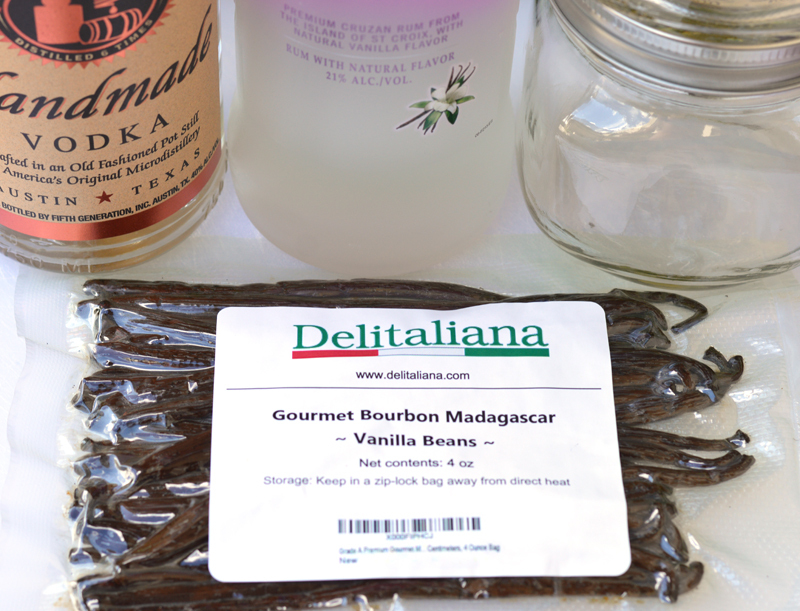 My neighbor told me that you can also simmer your beans for 5-10 minutes in half of the liquor for 5-10 minutes. 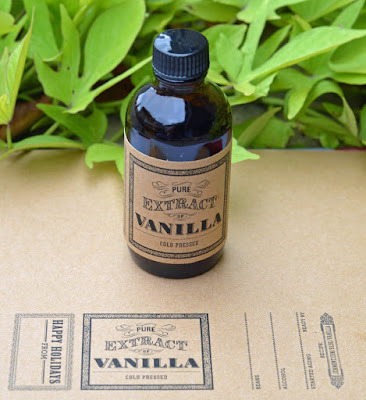 This helps release the vanilla flavor and should make your vanilla ready quicker! It does reduce the volume so you will want to account for that and buy a bit more than you need. I have asked both my sister in law and my neighbor the secret to choosing the liquor. I was told the more expensive Vodka doesn’t make it any better than the less expensive. Time is the real indicator of quality. The original pin suggested Titos Vodka so I just bought that. Rum will give your vanilla a bit of a sweeter flavor. You can get Vanilla Rum to kick start the flavor! $25.75 4 oz. Gourmet Madagascar Vanilla Beans (I bought these on Amazon) You can also make these go further if you don’t use as many. I did the full 7 per 8 oz. of liquor. Some recipes say it can be 3-5. If you do 7 you will need 8 oz. of vanilla. if you do 3-5 a 4 oz. bag should be fine!